Something Happening For Kids at The Place on 19th July! 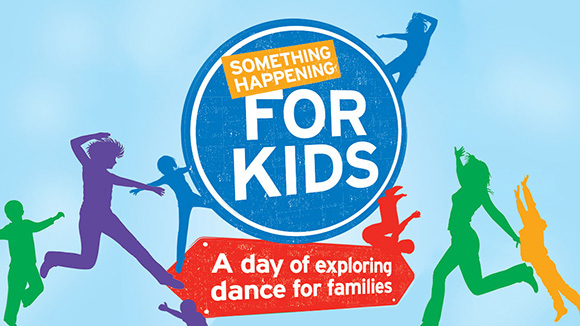 If you fancy a bit of a dance then definitely check out the one-day festival Something Happening For Kids. On Saturday 19th July, they’ll be taking over The Place once more with a whole day packed with all sorts of dance activities! There’s things to watch, things to do, places to relax, eat and drink – all for under-10s and their families! 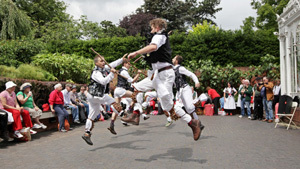 The Bo Diddlers will be performing their unique show, full of physical comedy, traditional folk, contemporary dance, and live music. And if you’re inspired by that, you can take part in a whole range of bookable and drop-in family activities. 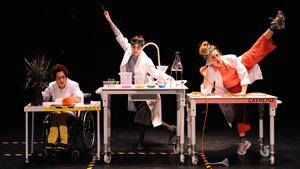 There’s the Windibops laboratory where you’ll get to investigate farting, take part in the “sound hunt” for The Minotail’s missing voice in St.Pancras Church Crypt, or relax and watch a film by Fevered Sleep! You can also bounce on the inflatable set from Meeting Mr. Boom, learn to dance with The Bo Diddlers, sing and move in an interactive choir, or become a secret agent and crack codes as part of Mission Dance! And loads more really fun, unique activities! Click here to find out more and see everything else you can do at Something Happening for Kids on 19th July at The Place!